Flying is stressful. You have to worry about your luggage, boarding pass, and security among other things. Let success limousine take one extra item off of your checklist by picking you up or taking you to EWR Airport. 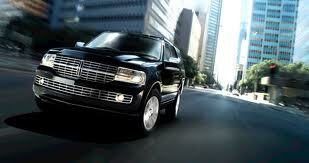 success Limousine’s Ground Transportation Experts are dedicated to the highest level of quality and service. Now you can sit back and relax knowing that our highly trained staff will take the stress out of getting to and from Newark Liberty International Airport. We Guarantee On-Time Service along with Free Meet & Greet on Arriving Flights. In addition, we utilize advanced, state-of-the-art, real-time reservation, dispatch, account management and flight tracking software. We always endeavor to ensure there are no surprises—leaving you with a punctual, impeccable, first-class service. Our Airport Transportation vehicles include Town Cars, SUV’s, Executive Sedans (Mini Limo) and Full 10 Passenger Stretch Limousines.